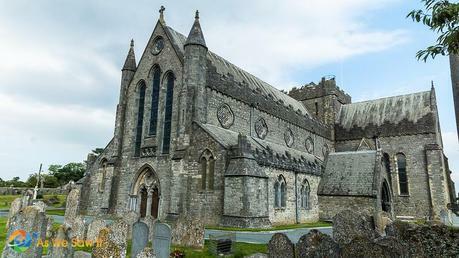 Besides its castle and Smithwick’s beer, Kilkenny visitors should also experience St. Canice Cathedral. Although it was built in the 1200s, Christians have been worshiping on the site ever since the 6th century. Now belonging to the Church of Ireland, the cathedral that stands today has been carefully preserved in its original Early Gothic style. Enter the church and you’ll find the original baptismal font as well as a replica of an original 13th century stained glass window. The cathedral also contains some of the finest 16th century monuments in Ireland, so it’s definitely worth a visit. Next to St Canice’s stands a 9th century round tower that once was a watchtower and refuge. Climbs to the top and you will get remarkable views of both the city of Kilkenny and the surrounding countryside (weather permitting, of course). To see more of the city, please visit our Kilkenny photo gallery.